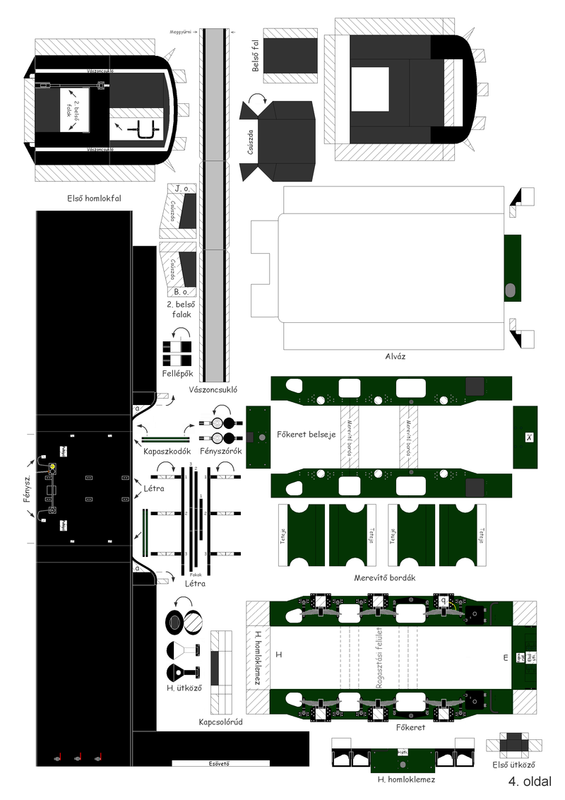 The class of 28-tonne locos built in Eastern Europe, Russia and China was the most numerous type of narrow-gauge steam locomotive ever. Well over 5000 were built and they have operated in at least a dozen countries across Eurasia. 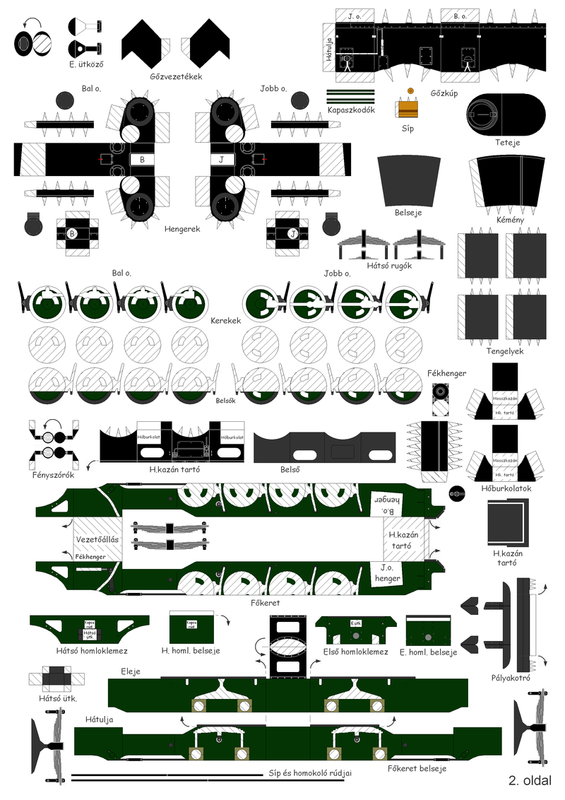 Despite this, there are no commercially available models of the class, nor even any complete kits. Happily, several people have taken on the challenge of scratch-building models of C2s or their Soviet counterparts, and we present a few examples here. There’s even the opportunity for you to have a go at building one yourself, for free! 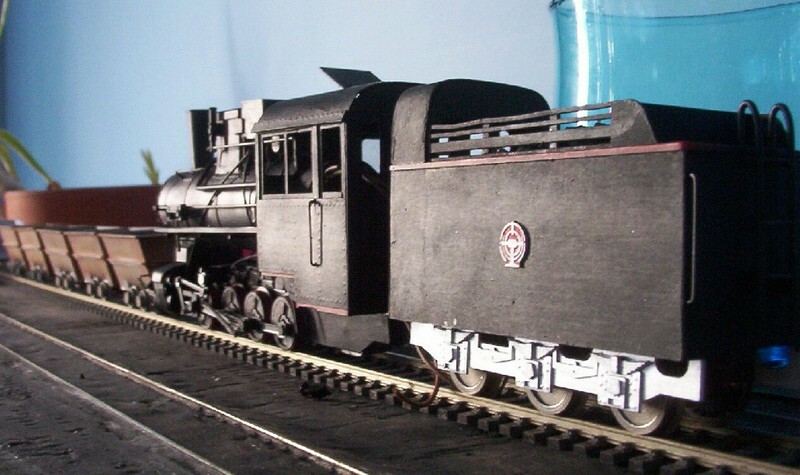 If you have built a model of one of these locos, whether European, Russian or Chinese, we’d love to see some photos and add them to this page. And we'll happily add a link to anyone offering a kit or 'scratch-aid' parts. Please get in touch via the ‘Contact Us’ link on the left hand side of the page. 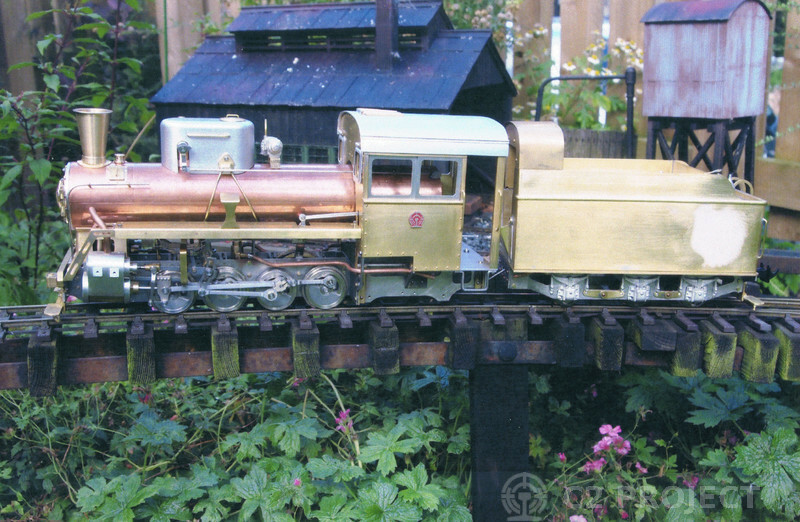 Pride of place goes to a beautiful live steam model in 16mm:ft scale built by David Shearwood in the UK. 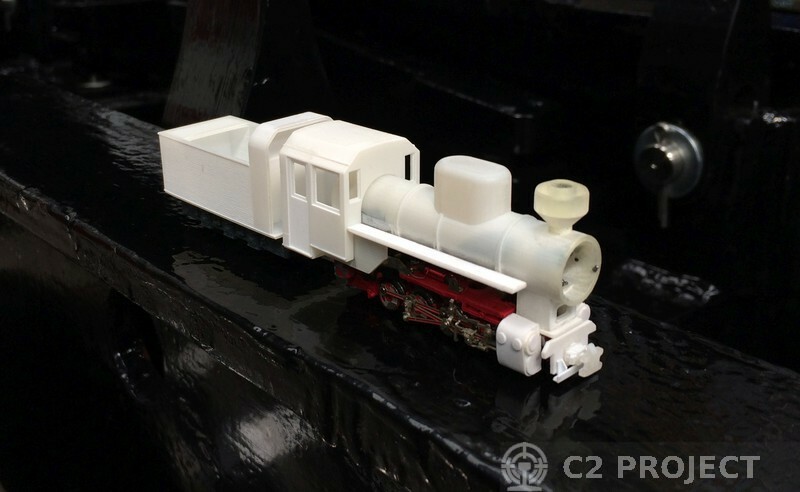 David Shearwood's 16mm scale C2, in steam and nearly complete. David has built a matching caboose too. David Shearwood's 16mm scale C2, complete and fully painted. 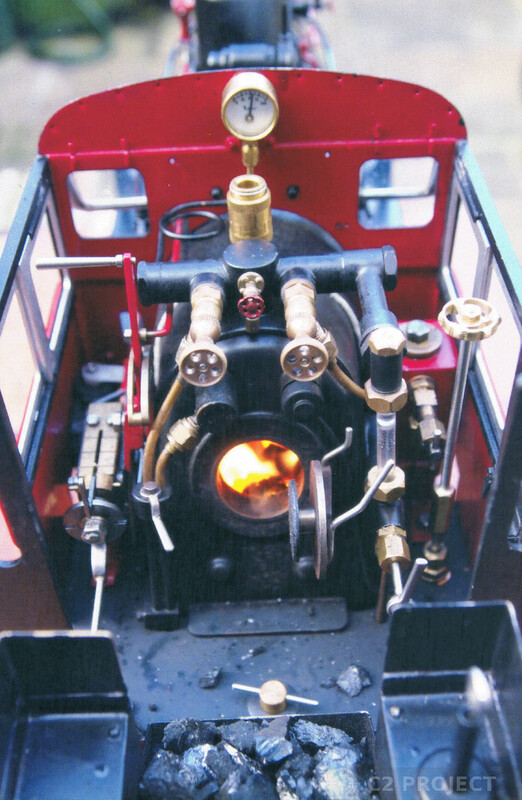 Cab interior of the loco in steam. Meanwhile in France, Jean-Baptiste and Jean-Claude Malbec have been working on a 1:35 scale model to run on H0 track. It’s not finished yet but they’ve done a great job capturing the shape of the loco, including a Jilin Province cab. This is entirely scratchbuilt in card. 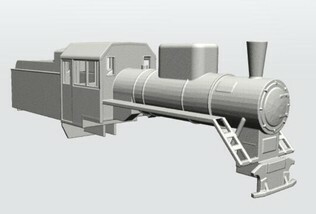 A card model in 1:35 scale, built by Jean-Baptiste and Jean-Claude Malbec: about 80% complete. 009 scale KP-4 seen on top of the frames of our full size loco. At the Quirks and Curiosities II gala in 2017, our shed was open for visitors and we were delighted to receive a visit from a baby C2! This one was in 009 scale and had been 3D printed. Again, we’d love to see some more photos once it’s complete. 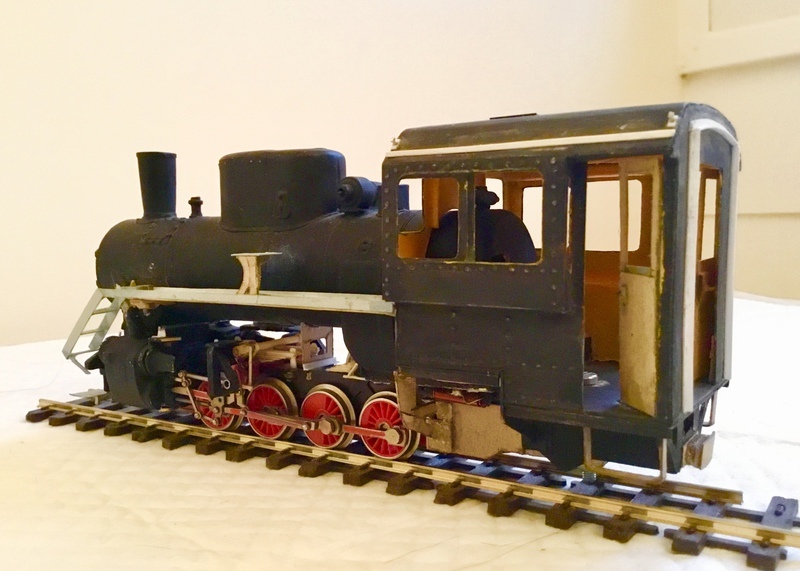 David Daniels has made a very nice C2 in On30 / O-16.5 scale, complete with a rake of tippler wagons as used at Dahuichang - follow this link to see his methods and the build in progress: emu models. A photo of the near-completed train is shown on the right. 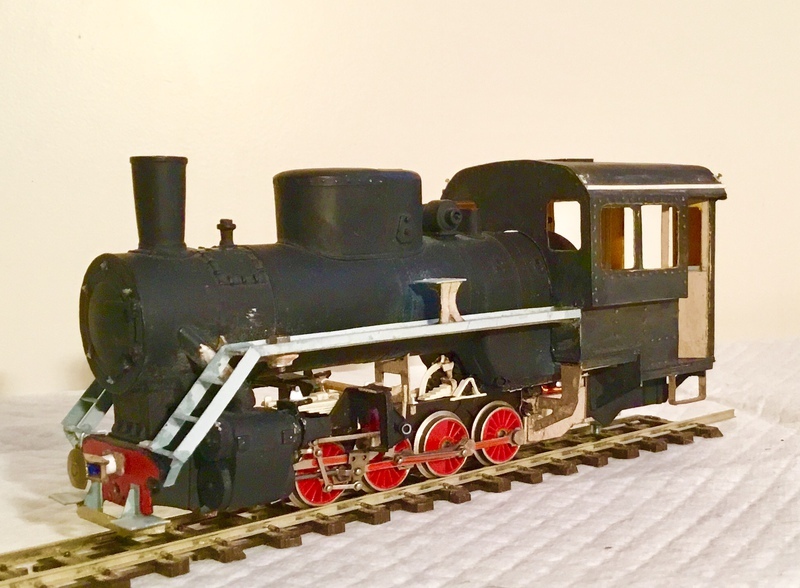 David Daniels' C2 in On30 scale: a painstakingly scratchbuilt model of a Dahuichang loco, complete with a rake of the characteristic tippler wagons. 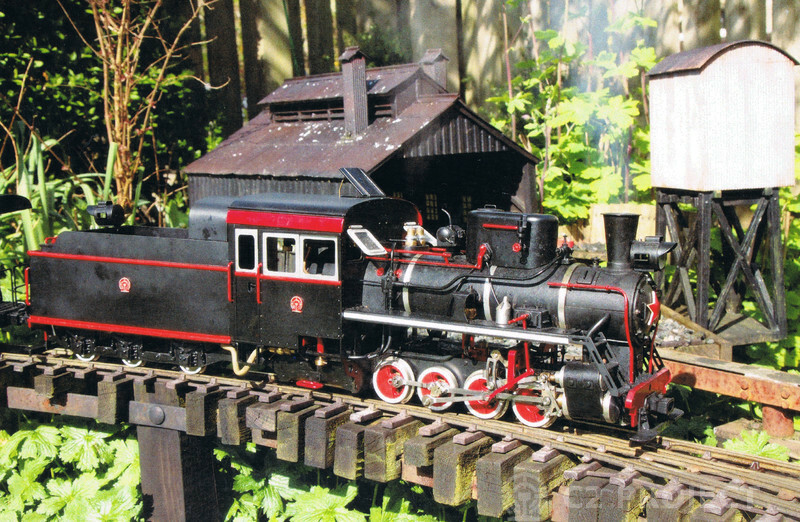 The Sochaczew Narrow Gauge Railway Museum in Poland has two full-size KP-4s and this beautiful model which is nearly 3 feet long. I'd estimate the scale at 1:12. 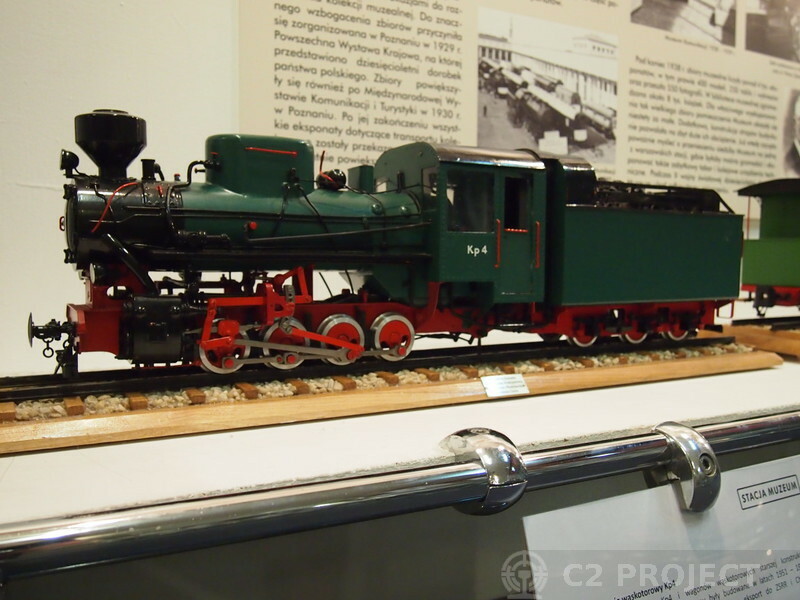 A beautiful model of a KP-4 at the Warsaw Railway Museum in Poland, around 1:20 scale. It's apparently smaller than the similar one at nearby Sochaczew. 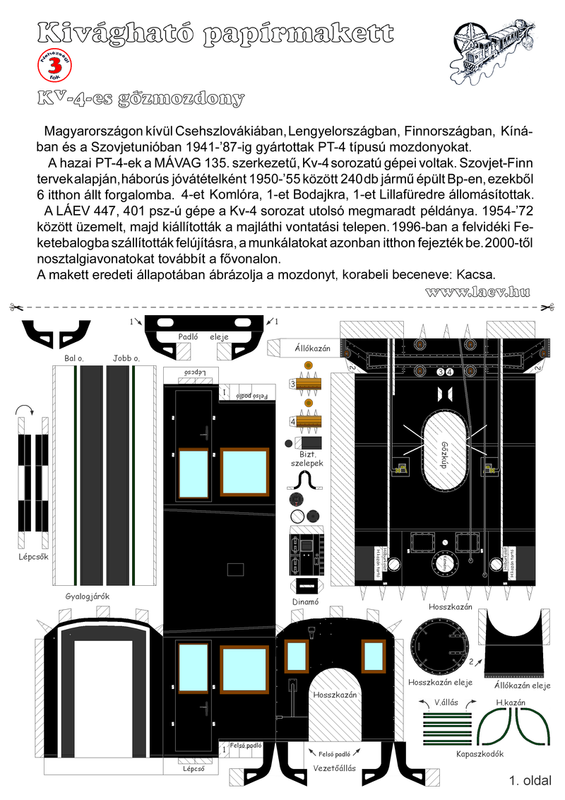 A preservation group in Hungary has made a print-it-yourself card kit for their Kv-4 locomotive, the Hungarian equivalent of the C2. 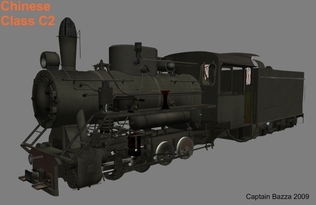 You can download the files for it here, print them out and build your very own model! 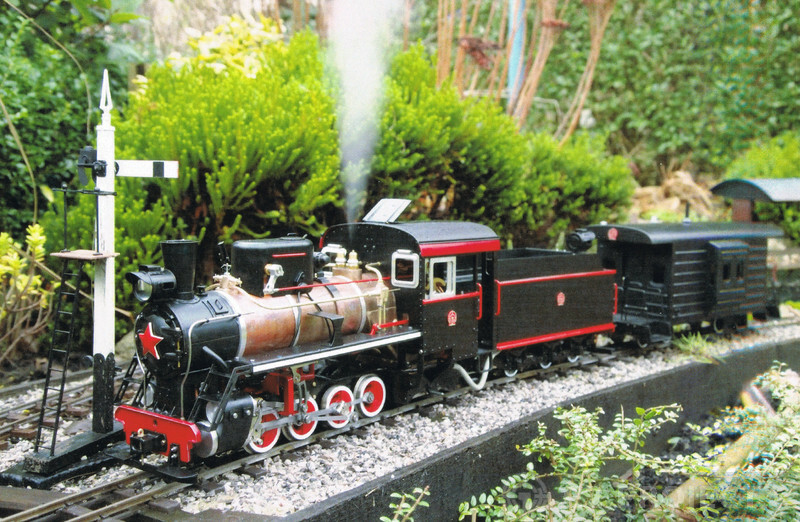 A Chinese wooden model of a C2 with bogie tender. 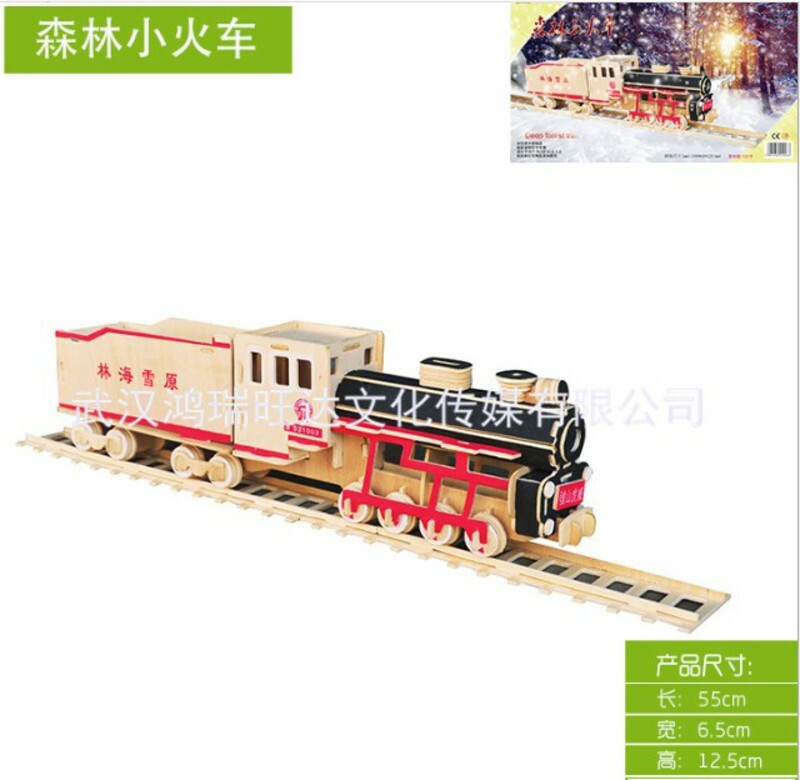 This wooden model is available online in China, and represents a C2 from the Shanhetun Forestry Railway. 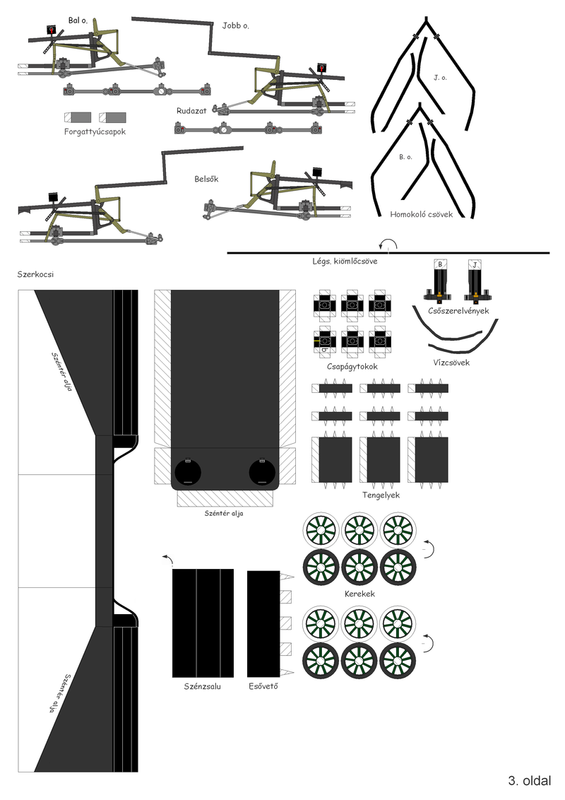 If you’re keen to build something more substantial, then we can probably help you with detailed drawings and other information. 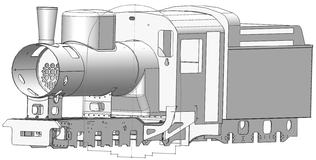 We are gradually building up a Solidworks model of our loco, but it probably won’t be finished until the real thing is done too! Finally, a recently-discovered archive photo from Harbin Forest Machinery Factory. 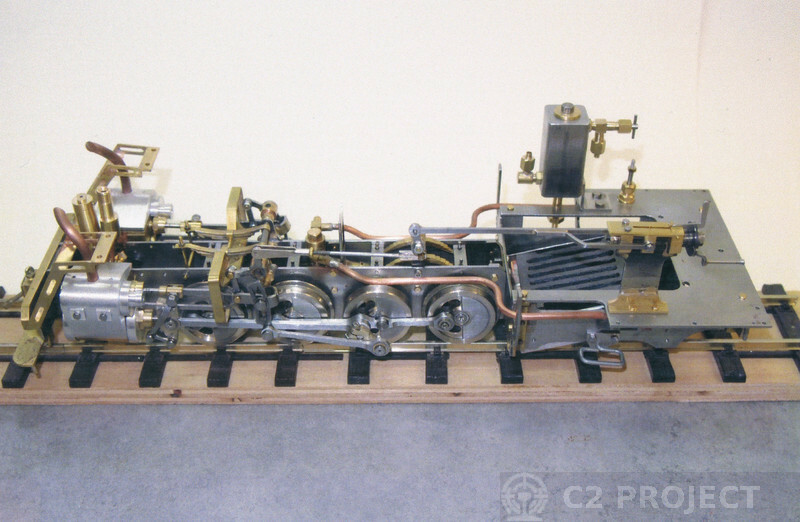 This probably shows the very first model of a 'C2', maybe even pre-dating production of the full-size class at Harbin? 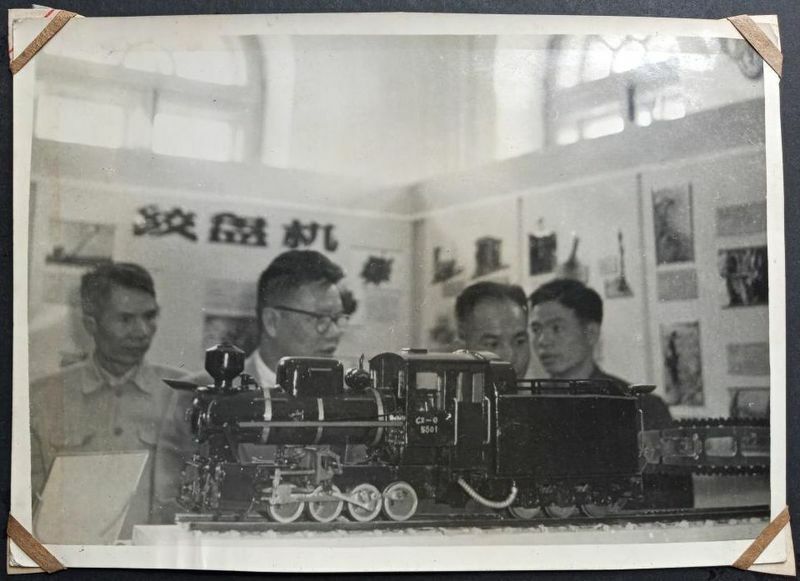 This fascinating old photo was taken at Harbin Forest Machinery Factory, and shows a model of a C2 numbered C2-0 5801. C2 Production at Harbin began in 1958 so was this a commemoration of the first loco produced? It appears to be about 1:20 scale.